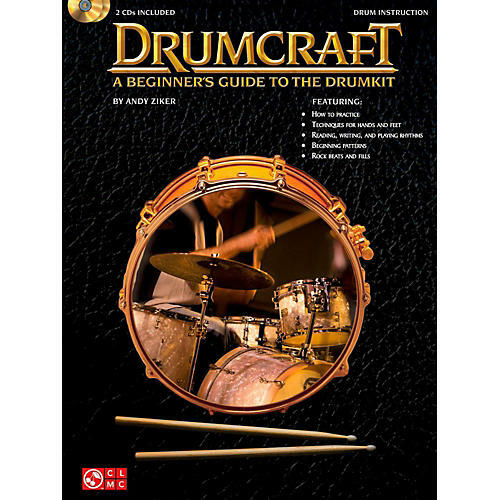 Percussive Notes calls Drumcraft "very thorough and well sequenced" and Modern Drummer says it's "useful and a heck of a lot of fun!" Author Andy Ziker bases his unique new beginning method on his many years of playing and teaching experience. He covers these topics in detail: how to practice; drumset vocabulary; techniques for hands and feet; sticking options; reading, writing & playing rhythms; beginning patterns; rock beats & fills; and much more. The two accompanying CDs let students hear all of the examples. They are playable on any CD player, and also enhanced so Mac & PC users can adjust the recordings to any tempo without changing the pitch - perfect for learning!